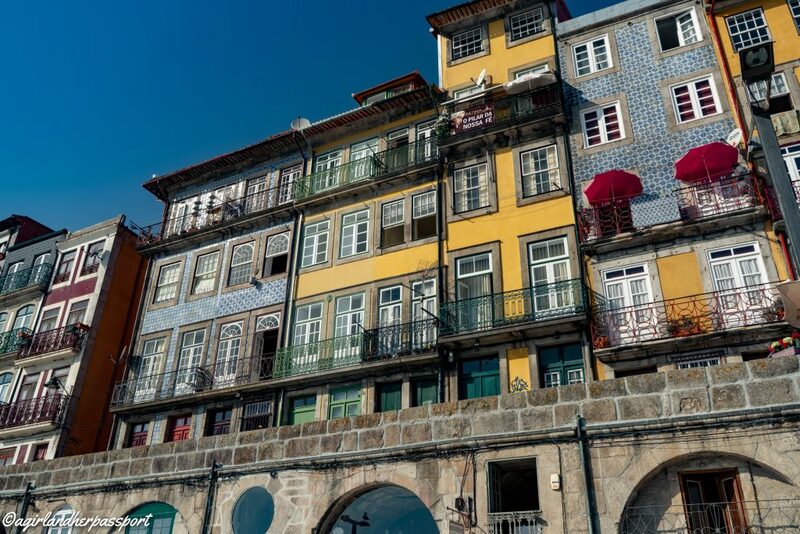 You could easily mistake the colorful buildings of Porto for just brightly painted buildings, but upon closer inspection, you realize they are covered in thousands of detailed tiles or azulejos. 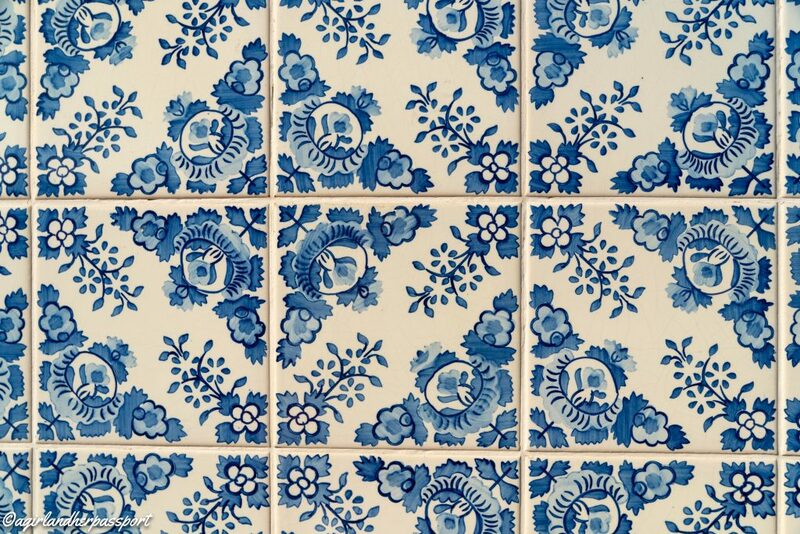 Azulejo is the name for the painted tin-glazed tiles you see in Portugal. Porto seemed practically covered in azulejos. Azulejo comes from the Arabic word az-zulayj, which means polished stone. The earliest known azulejo tiles come from the 13th-century. You can see many of these in Seville and the Alhambra in Spain. The early tiles were one color and cut in distinctive shapes to create patterns. Many of these reflect the Arab love geometric patterns and colors. 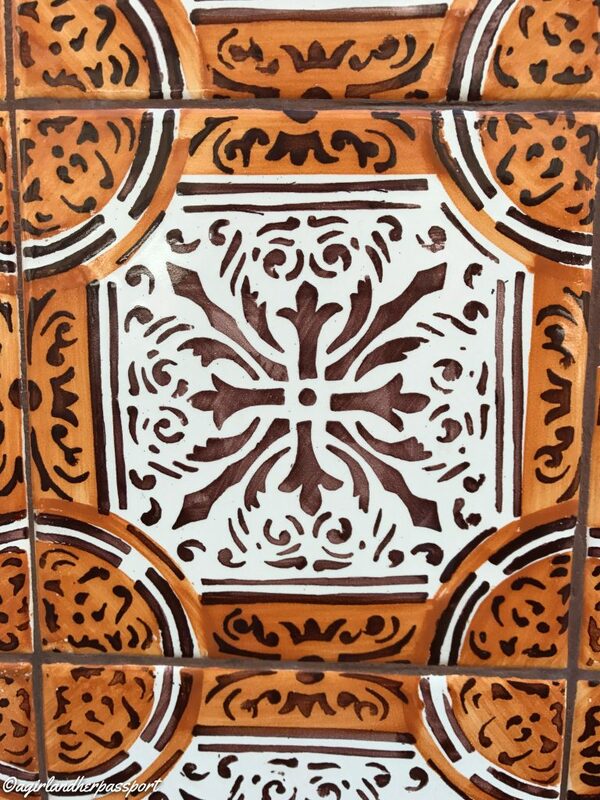 King Manuel I of Portugal saw the tiles in 1503 while on a visit to Seville and he brought back the idea to Portugal. 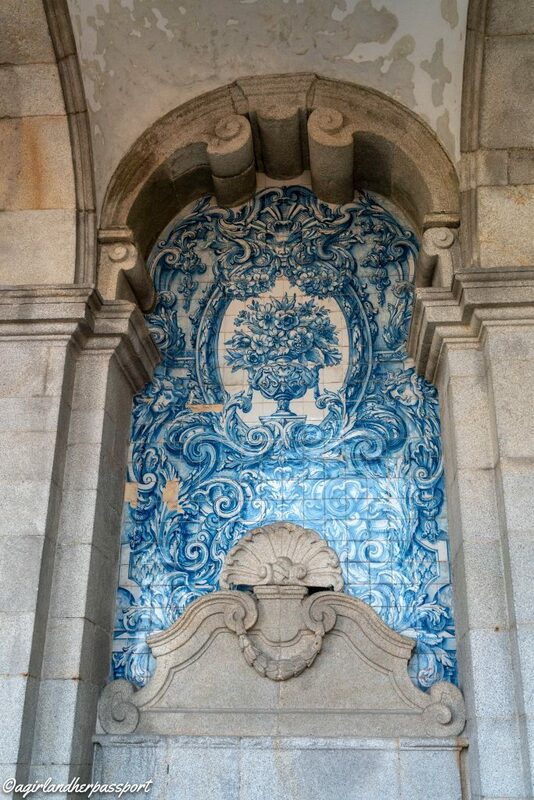 You can see early examples of this in Sintra, Portugal at the National Palace. In the second half of the 17th-century, the azulejos started to have a blue and white theme that was influenced by the Netherlands. 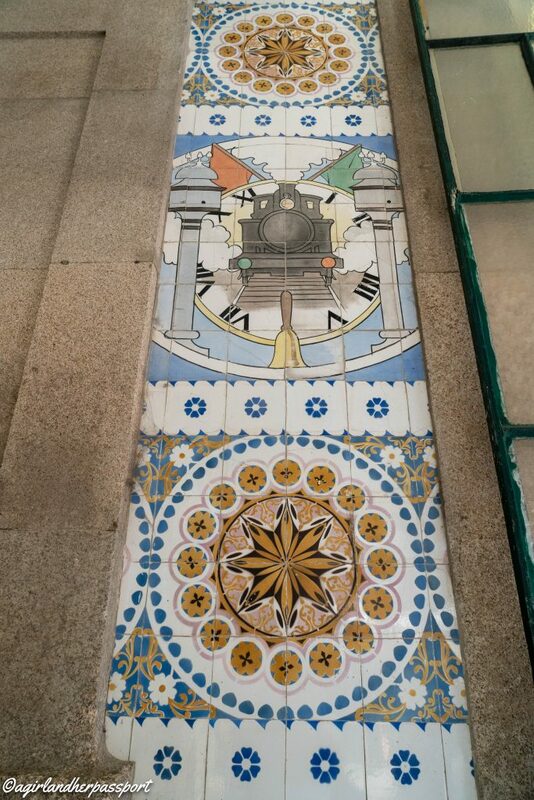 These tiles were imported, but that all changed when imports of azulejos were banned. This led to the Portuguese making their own tiles. Mass production began not long after and the azulejos became more and more popular. The 18th-century brought the large narrative panels you see on many churches and cathedrals today. You can see the azulejos in many cities today in Portugal, Spain, Brazil, Mexico and the Philippines. They are still used in decoration today. 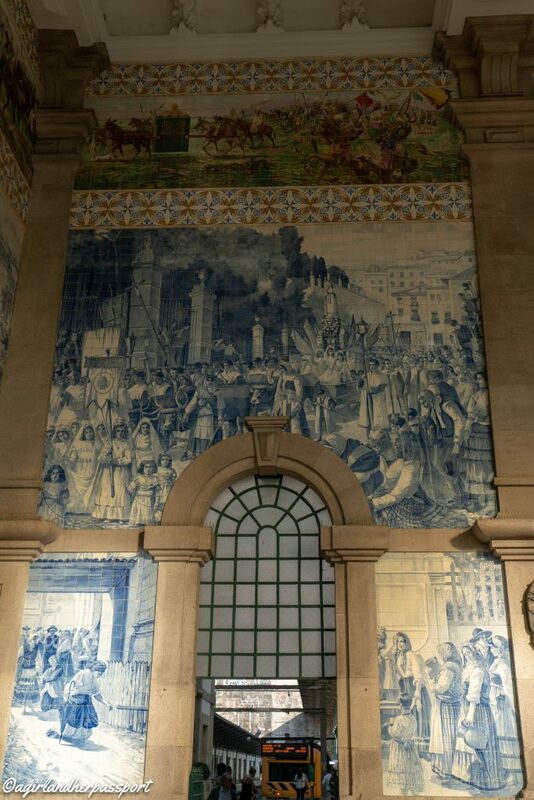 If you also make it to Lisbon, go visit the Museu Nacional do Azulejos. 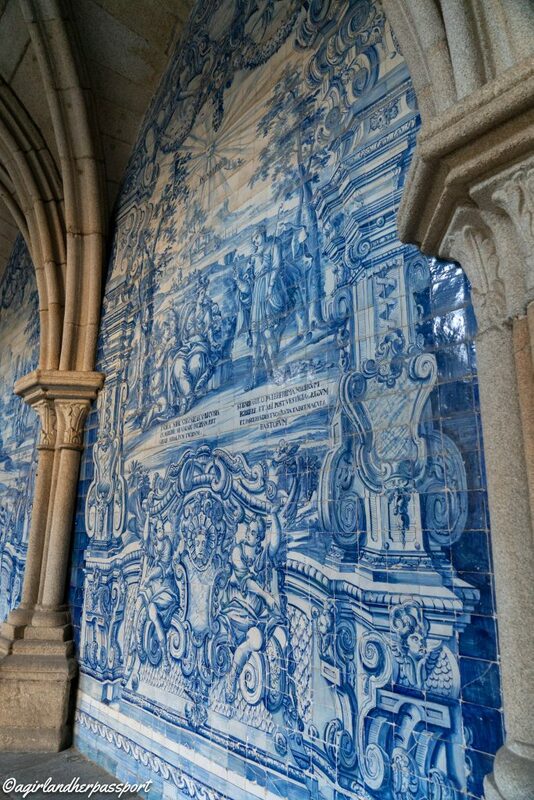 It houses the largest collection of Portuguese tiles in the world. 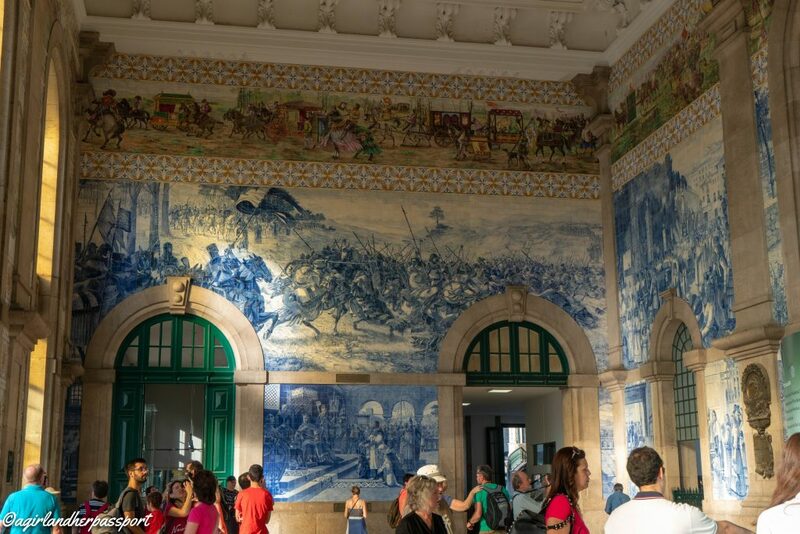 The azulejo tile in the Port Sao Bento has made this train station famous. There are approximately 20,000 tiles covering the walls of the inside of the train station. 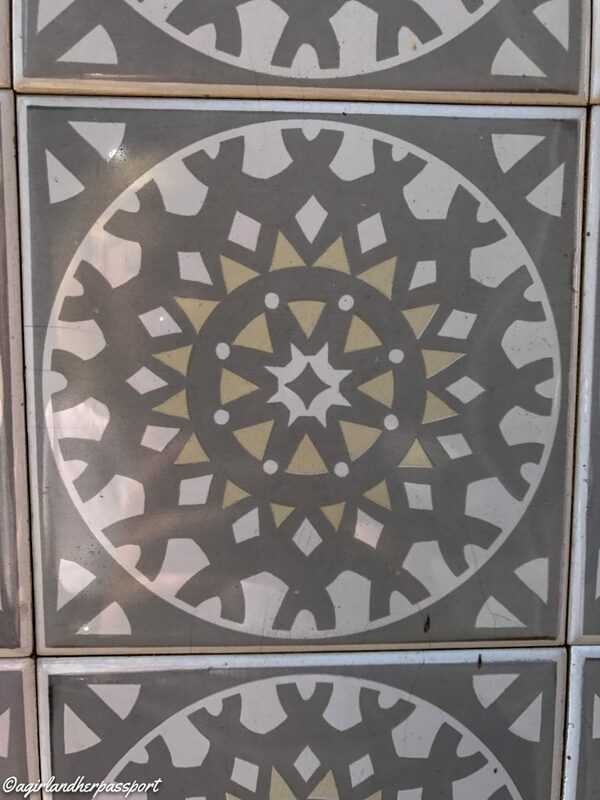 The tiles are also located on the outside of the station. 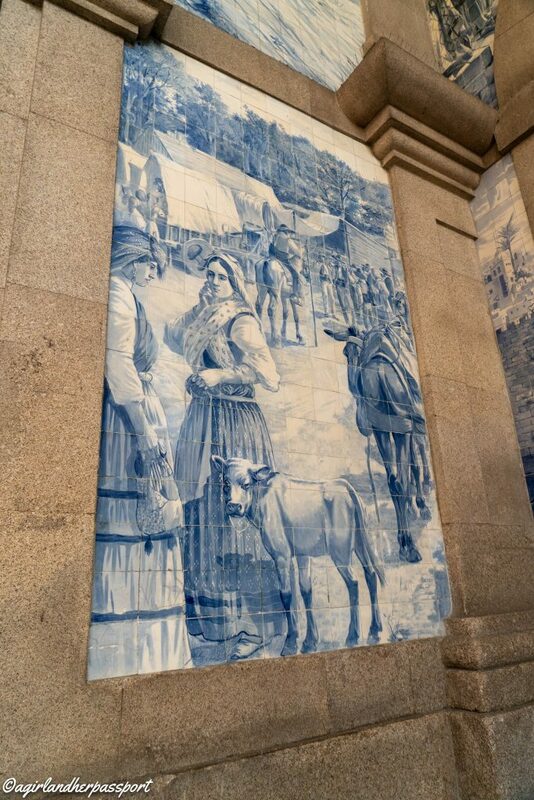 Most of the tiles in the train station are scenes from Portuguese history. Above the scenes are displays of the history of transportation. You could stand in here for hours looking at all the details. I loved watching the light change the feeling of the tiles while standing in there. Overlooking Porto, the Porto Cathedral offers remarkable views of the city and the River Duoro. Outside the Cathedral, there are azulejos in the loggia. While the sanctuary is not decorated with azulejos, you can pay the €3 fee to the cloister to see an amazing azulejo mosaic. It depicts the life of the Virgin Mary and Ovid’s Metamorphoses. The entrance to the cloister is to the right of the entrance. I could not find the number of tiles for the cathedral, but it must rival the train station. The Ribeira neighborhood is a UNESCO World Heritage Site. The Cais da Ribeira is the waterfront portion along the River Duoro. Here is where you can see many homes decorated with azulejos. Each house is so colorful and this is where I realized they were tiles not paint. If you walk up to the second level, past the restaurants and shops on the first level, you can get up close to the buildings to see the tiles. Most of these homes are still occupied by the people of Porto and you will see their laundry hanging in front of the tiles and windows. It makes for a colorful photo. If you want to wake up to this every day you can by staying in the Invicta Ribeira Boat Hotel, check here for rates, I stayed here and enjoyed being in the cultural heart of Porto. It sits in the River Duoro right across from the Cais da Ribeira. Plus who doesn’t want to sleep on a riverboat! This church is a hidden gem of azulejos in Porto. The church is only accessible outside mass hours through the museum next door, Museu da Misericordia do Porto. The entrance fee is €5, which gives you access to the museum and the church. The church was built in 1584. 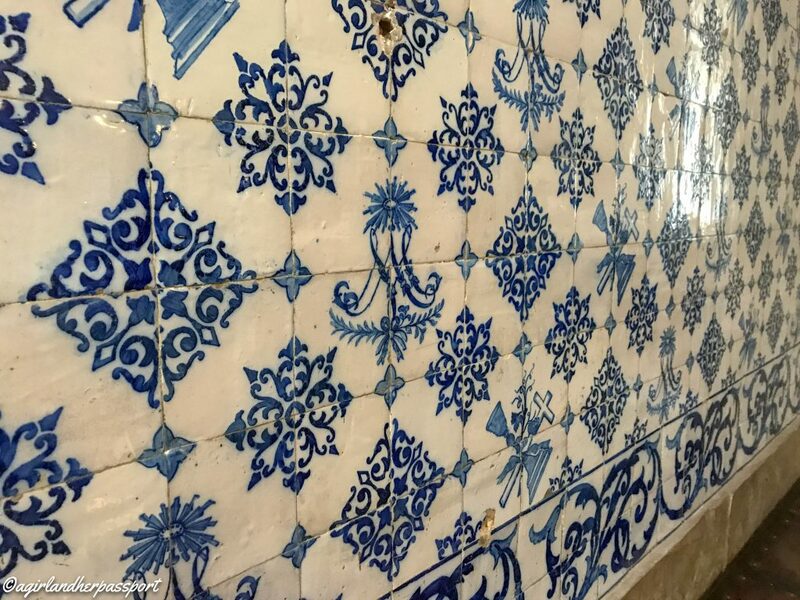 The original azulejo tiles were installed in 1628. Few of these survive today and many were replaced in 1866. There are reports that the ones in the stairwell leading to the tribune and sacristy are originals. The current tiles are in the blue and white tradition. There was no one in the church when I visited. It was very peaceful to be in a beautiful church all alone. There were very few limits on where I could go inside and think that is because it is still a working church. The museum is worth a visit as it covers the charitable history of the organization and has some amazing pieces of art on exhibit. The Igreja da Misericordia is located on this street so if you visit the church, you won’t miss the tiles on this street. Almost every building on this long street is covered in azulejos. The name of the street comes from the gardens that used to be here when the street was opened between 1521 and 1525. The azulejo tiles have been known to be vandalized or be stolen. 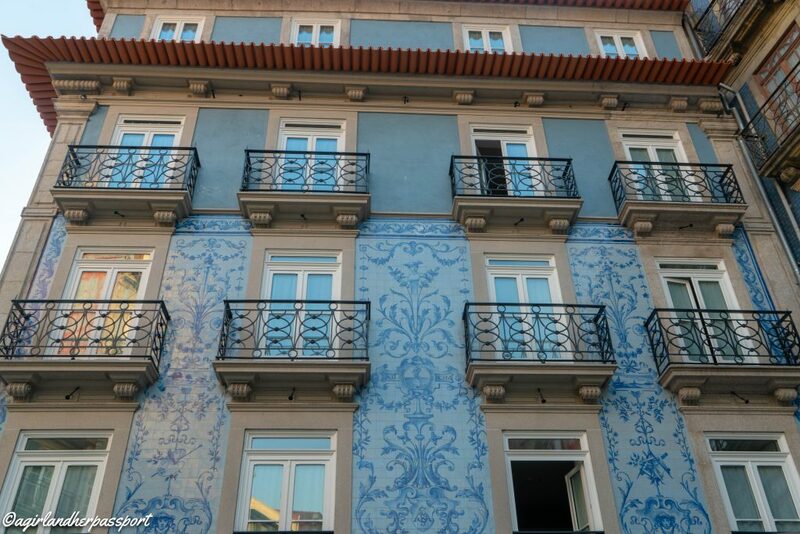 In an effort to prevent this in 2013 it was forbidden to destroy any building that had an exterior covered in azulejos in Lisbon. In 2017, the law extended to the whole country and included the interior of buildings. While it will not be hard to find azulejos in Porto, you will have a hard time not stopping to take pictures of every single one. 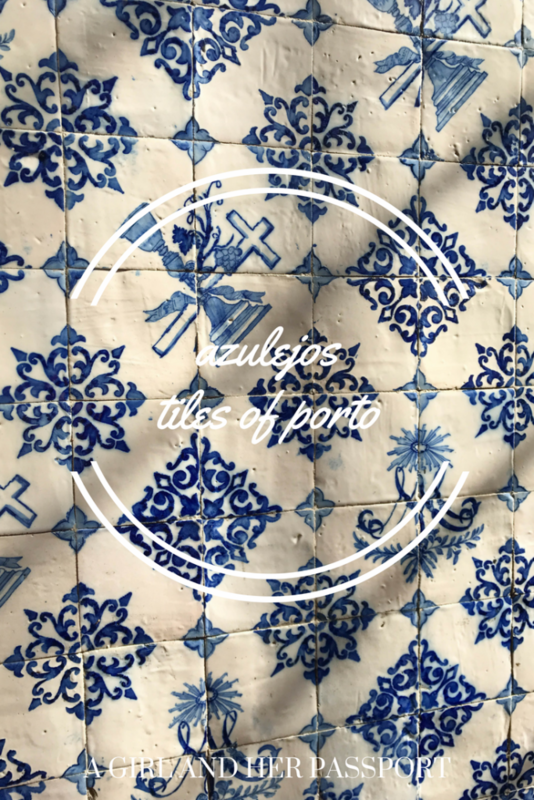 Would you like to see more and learn about azulejos? I recommend these books on azulejos. Aren’t they! I loved them too. 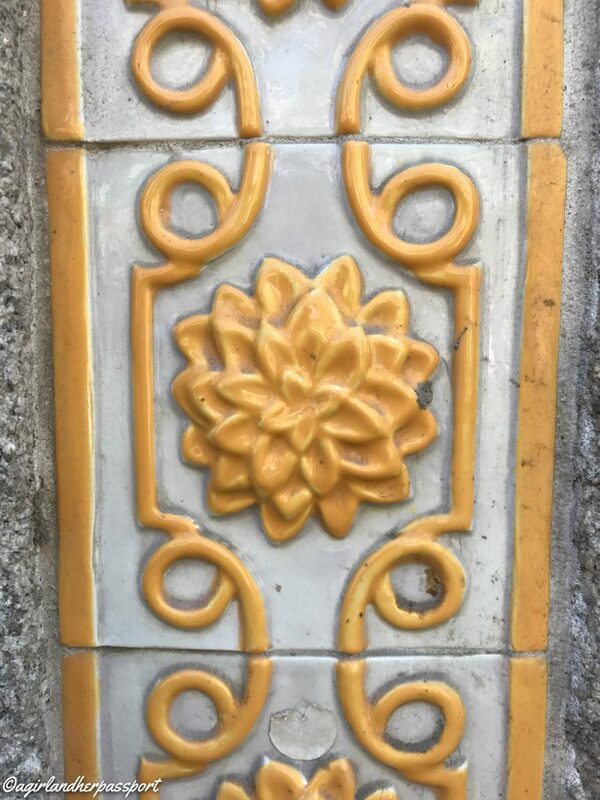 I adore these types of tile. We tried incorporating some in our home but they are hard get in Ireland. I wanted bring back some but too heavy! This is so on my list. Love the tiles and building. I would go back. Such a great city. Gorgeous tiles. I love them on the outside too. It was different but so pretty!! Wow. These are absolutely beautiful. This might have to go on my bucket list. Aren’t they!! I want to go back. Thank you! I hope you enjoy it.